P. Carl is a nonfiction writer and Distinguished Artist in Residence at Emerson College, in Boston. He completed his BA in English and MA in Peace Studies at the University of Notre Dame, and a PhD in Comparative Studies in Discourse and Society at the University of Minnesota. Carl writes widely on theater, gender, and inclusive practices. The co-founder and past director of HowlRound, a think tank, journal, and knowledge commons committed to building community among international theater makers, he stands at the forefront of creating innovative knowledge platforms and cultural transformation models for arts organizations. In 2018 Carl was awarded The Berlin Prize, and in 2017, he was awarded a prestigious Art of Change Fellowship from the Ford Foundation. He was named Theater Person of the Year in 2015 (National Theater Conference), as well as an Alumni of Notable Distinction (University of Minnesota). 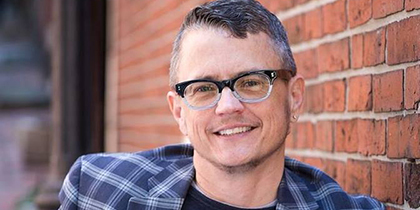 He has served as Co-artistic Director of ArtsEmerson at Emerson College, Director of Artistic Development at Steppenwolf Theater in Chicago, and Producing Artistic Director at The Playwrights’ Center in Minneapolis. Recent contributions as a dramaturg and producer include Claudia Rankine’s new play, The White Card, Melinda Lopez’s Mala (2017 Elliot Norton Award Winner for Outstanding New Script), Jessica Blank and Erik Jensen’s How to Be a Rock Critic, and Deborah Stein and Suli Holum’s The Wholehearted.